There has been much hype in the last few days about Thr First Wing at Terminal 5. This is a genuine enhancement in the service offered to 1st class passengers and gold card holders when travelling through Heathrow. 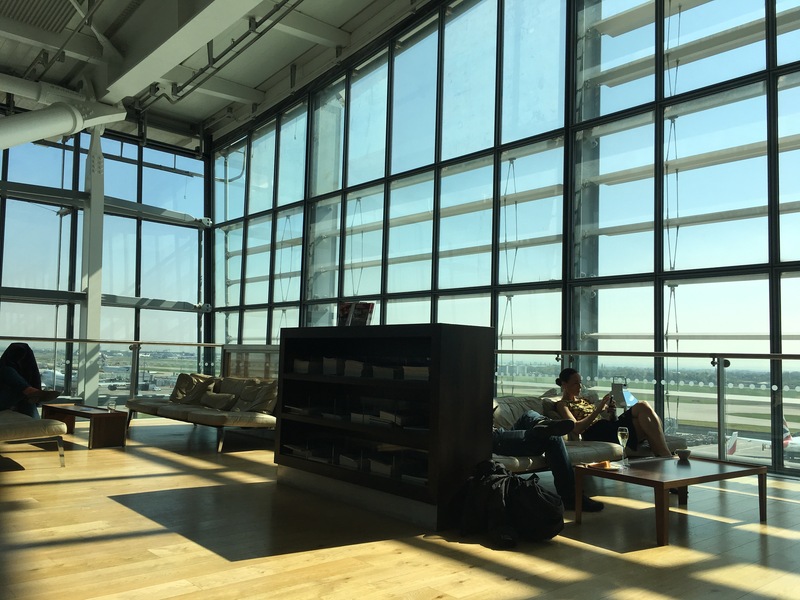 The idea behind it is to offer an integrated check-in, security, and lounge entrance service for British Airways premium passengers. It was officially opened on Wednesday during a press launch and I was fortunate enough to have timed my flight to Copenhagen two days later. The entrance is screened off from the main terminal, and takes up the same space where The old first class check-in was. 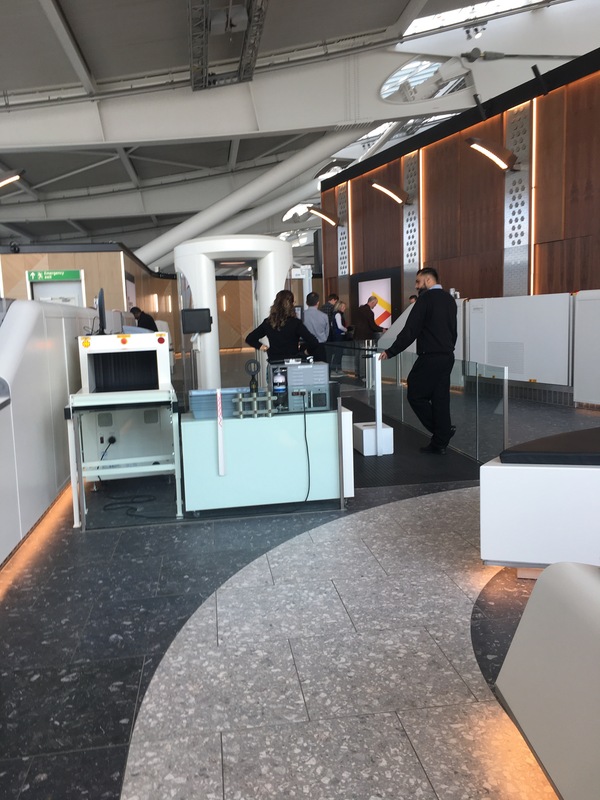 Passengers are screened on entry, with those checking bags sent to the left, and those with hand baggage only sent directly to security on the right. Following a boarding pass check, passengers are allowed through to the two security lines. When I went through yesterday afternoon both lanes were in operation, and there was absolutely no queue. I was able to pass through in a matter of seconds to the S side where there was a variety of seats and tables to repack my baggage. There were lots of staff on duty, ushering me through the corridor towards the Galleries First lounge. 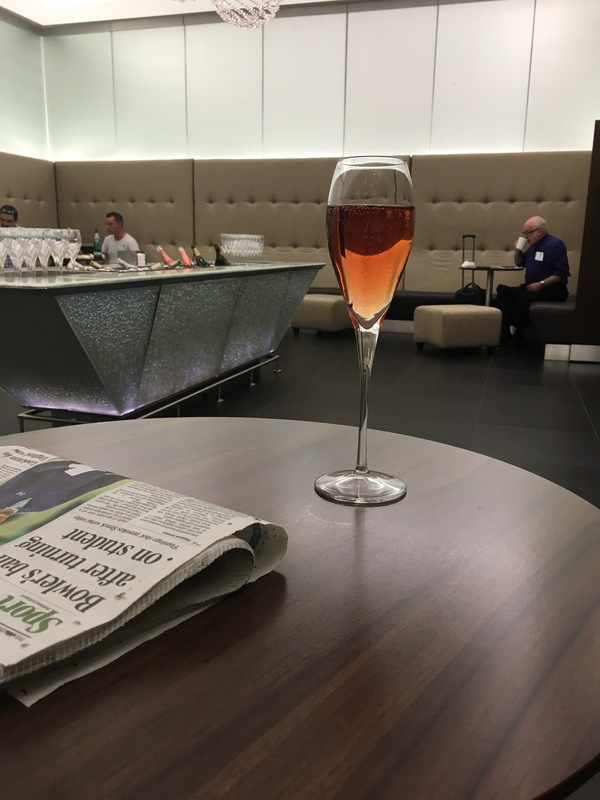 This was the first time that I had been in the first class lounge under my own steam, and I had a wonderful time. I made use of the champagne bar as well as the terrace which was bathed in a glorious light. It was a very pleasant way to spend an hour before my flight to Copenhagen. More of which to come! Previous Post The Imperial War Musem, Duxford – an AvGeek’s dream! 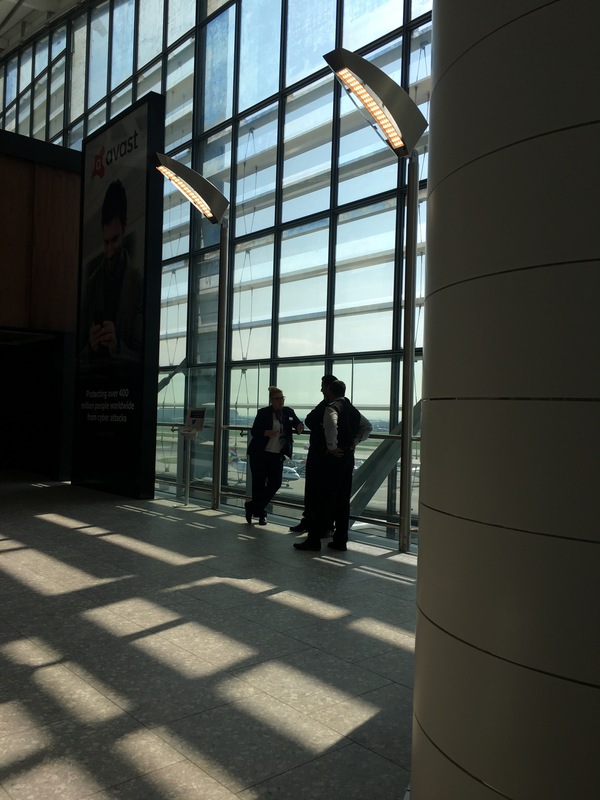 Next Post MisterAirmiles: Live BA Disruption Update!